Since the late 1990s, West African countries including Nigeria, have experienced one of the highest rice- demand growth rates in the world. Rice imports, despite dwindling foreign revenues, has played a significant role in meeting the high demand for rice in the region. This has firmly placed rice on the policy agenda of several governments in West Africa. In Nigeria, the focus for several years has been on how to increase domestic rice production and improve its competitiveness with imports. As a result, several policies and strategies including direct investments along the rice value chain have been introduced. Urbanization, changes in employment patterns, income levels, and rapid population growth have significantly contributed to widening the gap between rice supply and demand in Nigeria. Using the production-consumption ratio as an indicator of self-sufficiency, it has been deduced that even though rice production in Nigeria is steadily increasing there are concerns as to the country’s ability to match the exponential growth in demand. Van Oort et. al. (2015), observed that with the current trends in yield, consumption, and population growth in Nigeria, rice physical area in 2025 would need to more than double to achieve self-sufficiency. An alternative proffered, theoretically, is to increase yields to 80% of their biophysical potential plus double cropping in irrigated systems. It was also observed that there are large yield gaps between potential and actual yields in Nigeria indicating that much still needs to be done in increasing productivity. A comparative analysis of the rice development history and policy changes since the 1980s across selected West African countries shows that neither protectionism nor liberalization had a sustainable impact on West Africa’s rice import dependency. According to Mendez del Villar & Lançon (2015), trade policies wrongly assume that rice markets are efficient and able to forward price incentives to producers, whereas they are actually deeply segmented between local and imported rice. It was observed that there is a stable coexistence between local rice production and rice imports which is not affected by changes in tariff policy or the international price increase. This is ascribed mainly to the different quality attributes of local and imported rice. Several studies have indicated that consumers’ preferences between local and imported rice is not driven solely by changes in relative prices, rather consumer’s perception of food quality also play a vital role. Consumer households perceive higher prices of imported rice brands as a reﬂection of better quality attributes, and this reinforces their preference for imported rice brands. Price differential between local and imported rice brands have been found to be lower than consumers’ perceived quality differential. This could be one of the reasons for the persistence of consumers’ apathy against preference for imported rice brands. Main reasons consumers give for this preference is the clean long grains and non-stickiness associated with imported rice. Hence, it is easy to assume that no matter how competitive local rice production is or how secure our borders are, until local rice can compete with imported rice in terms of these valued qualities, Nigerians would always go for imported rice irrespective of the price. 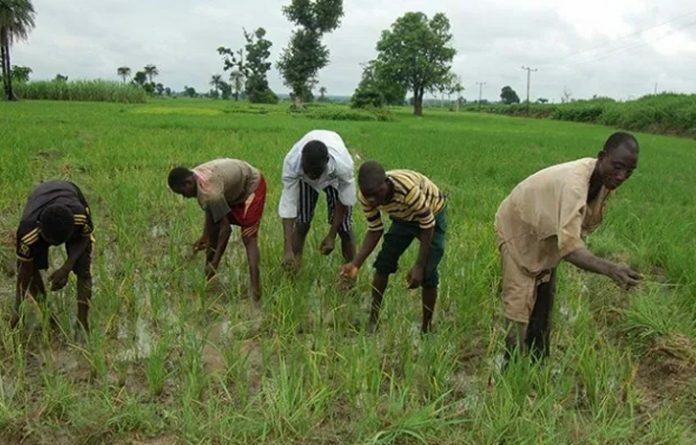 Until recently, the Nigerian Government has mainly focused on the production stages of rice through dissemination of improved seeds, fertilizer subsidies, and improved water management (pumps and rehabilitation of irrigated schemes). Policy makers have realized that it is no longer practical to assume that a rice market linking local supply to demand will develop spontaneously. The critical role played by the marketing and processing functions in establishing an efficient local-rice value chain has now become the center point of policy objectives as evidenced from the policy thrust of the Nigerian Government’s Agricultural Transformation Agenda (ATA) and the current Agriculture Promotion Policy (APP). This has become imperative in the face of growing demand and dependence on the country on rice imports. Attention is now on the future of the small and medium-scale private entrepreneurs that fulfill critical intermediary functions (marketing and processing), in the formulation of rice policy and in the objectives of rice development programs. This author notes that there is a need for simultaneous implementations of import restriction policies and domestic marketing policies that would promote a positive image of the improved quality attributes of local rice while reversing the negative perception of consumers. With the increasing necessity to grow rice locally, it is important to look beyond the availability of natural resources. Without putting a higher priority on the development of an efficient local rice marketing system, rice development will likely have a limited impact on import dependency level. The changes in Nigeria’s policy thrust is a welcome development. Consequently, it is timely to review the pros and cons of policy options in search of the most sustainable.